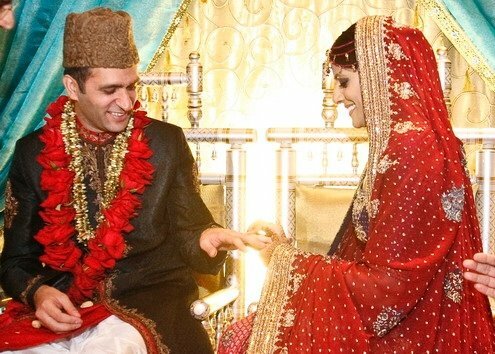 It is often stated that a husband’s promise to pay money, sometimes called a “mahr” or a “sadaq”, pursuant to an Islamic marriage contract, sometimes called a “nikkah nama”, is enforceable in a U.S. court under principles of regular contract law, even though such agreements are not enforceable as prenuptial agreements. What arguments may be raised in opposition to such enforcement? 1. The financial promise is often expressly conditioned on “Islamic” law or conditions. Thus one might assert that the contract is an integral component of a religious matter and cannot be understood without the court delving into Islamic religious matters and applying Islamic religious law, all of which is inappropriate as a matter of public policy. 2. Since Islamic marriage contracts are invariably extremely succinct, one might argue that the contract is far too uncertain to be enforced. The uncertainty will typically be as to the time of payment, as to whether the deferred portion is to be paid from separate or marital funds, and as to the parties’ required compliance with “Islamic” law, especially because there are many different schools of Islamic law, which vary according to the community, the locale, the religious leaders, the teachers and the theological books. Sometimes this argument is phrased as a lack of any meeting of the minds. 3. One might argue that under Islamic law the payment and retention of the money is always contingent upon the wife not being the party whose fault leads to the termination of the marriage. This opens the door to proof of the wife’s fault and questions as to whether fault should be viewed from an Islamic perspective. 4. Similarly one might argue that a wife who initiates divorce proceedings has forfeited the right to her marriage payment. 5. Another argument, especially for Islamic marriage contracts entered into in Islamic countries, is that the financial terms of a nikah nama can be understood only in the context of the Shariah religious law under which they are made. Islamic law provides very little in the way of spousal maintenance so that a fundamental purpose of the mahr is as a substitute for maintenance. Asking the court to deal with the mahr in isolation and out of context, without applying the other rules of Sharia law concerning the parties’ financial relationship, can produce a grotesquely unfair result. 6. Although there is no fixed amount of mahr in the Shariah but there are verses that indicate that it should be reasonable according to the financial status of the husband and according to the time and place and not too expensive. One might argue that the mahr is invalid under Islamic law because it was too high given the husband’s financial circumstances. 7. Another argument might be that the wife has waived the mahr obligation. 8. Other contract defenses could be duress and mistake. 9. Finally, there is some authority for the proposition that it is a defense that the husband is simply unable to pay the money and that, under Islamic law, he therefore no longer has the obligation to do so.